Applications for most Summer and Fall programs will be due March 1. Applications for most Spring programs will be be due on October 1. For ISEP Exchange programs, the priority application deadline for Fall is February 15 and for Spring is September 1. Many ISEP programs will accept applications until full. For JCU’s Rome program for Fall, the deadline is April 1. For the Boler Semester in London Spring, the deadline is April 1. The minimum GPA requirement is 2.5. Some programs have higher GPA requirements, for example Boler London, as well as programs at Irish and Japanese universities. Create a user account for yourself. If you are not currently enrolled at JCU, you will not be able to create an account without a Banner ID. b.) the Office of Financial Aid, to discuss how your financial aid package can be applied to your chosen program. Use the global map on the AbroadOffice website to choose the program that you are interested in. When you have found the program you want, click on “Apply” or “Apply to this program.” Please do not apply to multiple programs; you can change your program later, but multiple applications causes more work for the offices across campus. There are several forms (up to ten) that need to be completed for each program. Be sure to complete all of the pages, or your application will not be considered. You need to include a copy of your unofficial transcripts with your application. These can be printed from BannerWeb. As your application is reviewed by the Center for Global Education, you will receive updates via email about your status. Instructions on how to order official transcripts. You will need these for the host institution’s application. 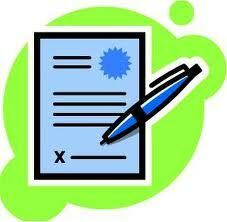 File a Transient Petition Form in BannerWeb. This needs to be done before you leave for your study abroad site, to ensure that your courses will transfer back to John Carroll University. Transient petition forms are not necessary for programs at Regent’s University, London or the JCU in Rome program. Instructions to file a Transient Petition. Student Health/Emergency Treatment Authorization form can be submitted online. You are required by JCU to carry health insurance that covers you while you are abroad, for $45 per calendar month. Return the CISI Enrollment Form with payment to the Center for Global Education. If you have questions about this insurance or the total cost, please ask Ms. Melanie Hahn at mhahn@jcu.edu or 216.397.4320. If your program provider requires you to buy their insurance, you must show me documentation of this before we will waive the CISI insurance requirement. For 3rd-party programs (programs that are not affiliated with John Carroll University), you will follow the same steps, and under United States choose “3rd party program” from the list of available programs. If you have any questions about the application process or your application status, please call Melanie Hahn at 216.397.4320. If your home institution is already a partner with John Carroll University, you should first contact the international office at your own university. Student Health Form – After you have received your acceptance, print this form out, complete it, then either fax or email a scanned copy directly to the Student Health Center. If you wish to attend John Carroll University for a full degree program (not just for a semester or year), please contact the Admissions Office.